Why it is important, particularly in challenging times, to continually revisit the wisdom teachings, spiritual practices, and shamanic processes of the work of the North on the medicine wheel. 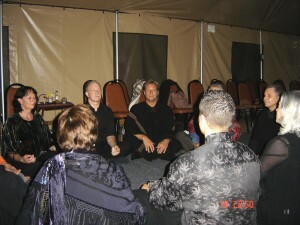 The intensifying of emotional and external energy over the past year, and the influence it is having on everyone is causing many to have to revisit the spiritual practices and processes that make up the shamanic work of the North on the medicine wheel. You can find my previous blog on North work on my website, and ask me about more detail on the practices. Examples are the meditations on my CD, but also many or any of the different spiritual modalities and rituals that you resonate with, and that are beneficial to you. The dance around the medicine wheel involves being able to transcend and ground at will. This means that we can alternate from rising above pain and attachment to negotiating our daily lives with regard to work, relationships, health, and resources. It’s like being in a dream, or even a movie, that we are happy to be in until it becomes too scary or painful, and we are glad to remember that it is just a dream, or just a movie. It is the moments of transcendence that we obtain through our spiritual practices and shamanic processes that give us the temporary relief that life is like a dream. Having to continue to revisit this North work is not a sign that we have failed or are failing on our journey to power and freedom or enlightenment. Instead, life is a continual cycle or spiral of being fully engaged in the theater with the occasional intermission. As long as we are in this physical form, it will always be so. Some teach and believe that the intermission is the goal; that permanently transcending this physical plane and its duality is the ultimate achievement. Shamans recognize that this belief and goal is a result of the way that humanity has made life more pain and suffering than pleasure, and this upside down worldview is like hell on Earth, rather than the heaven on Earth that it is meant to be. And ultimately even those who have achieved transcendence for some portion of their life end up choosing to return to the theater that they co-created in the first place. When we are in a cycle of being called to focus on the North work, to take that intermission and reconnect to our essential spirit, but we do not, then we get thrown across the wheel to the South, where the pain of our wounds and victimization (or perpetration) can flare up once again. We then have to dig our way out and around the medicine wheel, revisiting some of the original work we did with our shaman. This is why it is helpful to keep a set of practices handy when we need them. Again, not to do them constantly in the hopes of never feeling pain again, but just when it gets too tiresome or unbearable, and we need a short break. The revisiting of the practices and wisdom teachings of the North in this way increases our mastery over time, and they become easier, quicker, and more effective throughout our lives. The mastery ultimately allows one to be like water or glass, and shapeshift or adjust their resonance frequency to match or mirror whatever is present, thus avoiding the pain of dissonance and providing an opportunity to either influence or transform the other, or move away from it with grace and ease, leaving no ripple behind. Life for the master is truly a theater, where they never confuse themselves with the role that they are playing in the moment, but can mostly keep it a secret even from themselves, so that they can enjoy the full breadth and depth of the drama at will.